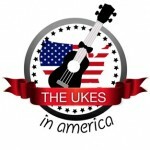 Ukes in America DVD is out! The Ukulele Orchestra of Great Britain is better than ever and producer Robert Stern captures their talent, their humor and their power to entertain on film. “The Ukes in America features barnstorming stage performances, impromptu jams and guerrilla gigs in unlikely venues – including eight songs the band has never recorded.” A second DVD in the set features more music, more fun and some great extra features, including a Lichty Ukulele short – What’s in Your Case? You can purchase this DVD directly from Litmus Films. Some background … Last year film producer Robert Stern of Litmus Films tried crowdfunding a film on the UOGB’s first tour of Australia. Robert traveled with them on their tour to Australia and captured so much incredible and fun footage that making a film seemed the right thing to do and the fans agreed! 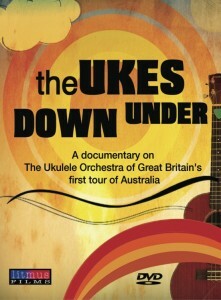 The result: The Ukes Down Under became the UK’s all-time #4 crowdfunded documentary, rapturously received by the band’s growing following around the world. Uke legend Jim Beloff called The Ukes Down Under ‘Brilliant! 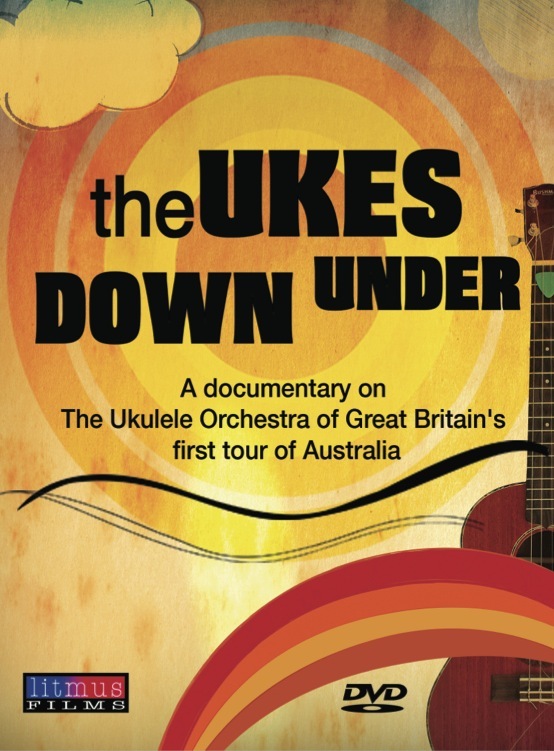 A perfect combination of concert footage, backstage repartee, bio material, witty graphics, uke club and fan interaction – a delightful film that not only captures the magic of the UOGB but also is a snapshot of the current uke wave’. The same team has now brought us all the magic and fun from the front seat and the back seat of the Ukulele Orchestra of Great Britain’s 2012-2013 US tour via the delightful film, The Ukes In America.